After reading the preceding sections, you might be left with the impression that a DISC profile works by measuring the underlying behavioural 'axes', and then extrapolates the DISC factors. In fact, this is not normally the case. 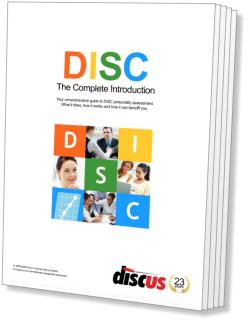 More commonly, DISC measures Dominance, Influence, Steadiness and Compliance directly. In these cases, the 'Biaxial Model' provides a theoretical underpinning of the system, but is not used directly to derive the results. Certain implementations of DISC, however, do assess the underlying axes directly. These generally produce results on a two-dimensional grid or wheel. From these results, a more conventional DISC graph can be calculated if necessary. For convenience, we have used the generic term 'Style Card' for these direct measurements of the underlying axes, and this is the subject of the next chapter.